According to the American Association of Endodontists, over one million teeth are restored and saved through root canal therapy each year in the United States. Gold Hill Dentistry in Fort Mill, South Carolina is proud to offer our patients this restorative dental procedure in our warm and caring environment. Dr. Kavi Sagunarthy and Dr. Jennifer Mokris work with an incredible team of dental hygienists and assistants to provide patients with painless root canal therapy when it is needed. Inside each tooth there is soft tissue called the tooth’s pulp. The pulp contains nerves and blood vessels and helps the tooth develop roots before they emerge. When the roots of a tooth become infected, injured, or diseased, they must be treated in order to save the tooth. This procedure is known as root canal therapy, and it is a highly effective form of treatment. Just a few decades ago, any tooth that was infected was simply removed from this mouth. However, dentists learned that extraction is a last resort because missing teeth cause other dental issues in the mouth. Root canal therapy helps patients maintain their natural smiles, allow them to enjoy full function of the teeth, and also limits future dental work. 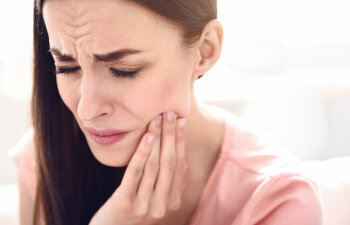 If you have any type of toothache, swelling or tenderness of the gums, extreme sensitivity to hot and/or cold, or an abscess on the gum line – please contact Gold Hill Dentistry today. We are committed to making root canal therapy a painless procedure for our patients using the latest in dental technology and specialized technique. Gold Hill Dentistry is currently accepting new patients, so please call us today to schedule your appointment.